Script Angel’s very first Mentoring client in 2013, Nicholas Gibbs, was signed by an agent in January this year. Here Nicholas kindly shares his experience to-date of that journey towards a long-term screenwriting career. Hayley: Huge congratulations on signing with an agent last month. Can you tell me a bit about how that came about? Nicholas: I approached Elizabeth Dench at the Dench Arnold Agency in mid-September with an introductory email and my writing CV. About an hour later, she responded and invited me to send a writing sample. She asked to read a second script that led to a meeting with Elizabeth and Fiona Grant. The meeting was scheduled for late October but did not take place until the following month. From that, they asked for documents relating to the scripts they had read plus another script I had. We were then scheduled to speak on the phone about representation in early December but for various reasons – not least, the festive holiday break – we didn’t have the conversation. I thought at that stage that the interest was gone. Then on Sunday January 4th, I got an email from Elizabeth rearranging the call. In that call, she made a verbal offer of representation. I had a think about it and accepted and then we officially signed. It sounds all straightforward and easy but as all the writers out there know it is not. At the time of approaching Elizabeth, I had also approached other agents – some of whom said no. What was in my favour was at that time I had three different scripts being read by three different production companies all of whom responded positively about the scripts and kept the door open to read again. HM: Can I take you back and ask, what was the first script you finished and what did you do next with it (agents, producers, etc)? NG: Once I have finished a script I show it to three trusted writer friends who do give honest feedback, which then leads to rewrites. At that stage, I would then pass it on to a script consultant like, for example, that rather good Script Angel. Then I work the script to its best possible incarnation before sending it out to producers. On occasion, those producers will provide valuable feedback. In this business, everyone has notes and everything is subjective. I would like to say I wrote all three scripts in a week and it was really easy. It wasn’t. There were many drafts of all those scripts. And before that, there were other scripts that were what I regard now as learning scripts. Some were dreadful but there is a progression of quality not just in terms of the latest polished draft but also with the first draft. I have always leaned towards approaching Indies and producers first rather than agents and have had a good response and as I said before prior to getting an agent I had opened doors with some of those sample scripts. Those little breakthroughs end up on the writing CV, which impresses the indie, or agent you approach next. It also helped that I had done the BBC Script Editing course and written a book on Writing Television Drama. NG: I have always loved stories from a kid playing Batman – the Adam West version not the moody cinematic versions – in the playground. I vividly remember at primary school writing a story about Neil Armstrong landing on the moon and meeting dragons. I did drama at university and in my last year I wrote a book on the England football team which was endorsed by the FA and the then England manager Bobby Robson did the foreword, that was picked up and published that led into journalism. I went freelance and got involved with BBC RaW and a whole range of theatre and radio projects. I can’t say I have a screenwriting career yet. Now, I just have access to a wider group of people who can say no. NG: I didn’t have a five-year plan but I would like to think I could have a returnable series up and running by then. That may sound optimistic but you have to believe it is possible or else what is the point? That is in contrast to two or three years ago when I seriously thought of abandoning the notion. It combined with a difficult period in my life where loved ones were lost. Out of that period was an all or nothing approach. I contacted you, we did a six-month stint working on a number of scripts that were enhanced, and the response has been positive. HM: What was your experience of trying to get the industry to read your scripts? NG: I must say that I have had more success getting scripts read than those who say no from the outset. I am always appreciative of any industry figure who takes their time to read my scripts given that it is often an unsolicited approach. And I am always delighted when people take time to give feedback. To have people of that experience and with such demands on their time to be willing to do such a thing is a boost every time. The truth is no one is obliged to read anything and there are perfectly good reasons for people to say no. It is hard for all writers to get read so when you do make sure that script is the best you can make it. However, to get the script read there is a need to sell you along with a commitment to screenwriting. Enrol in courses, enter good competitions, and attend industry events as your time and budget will allow. 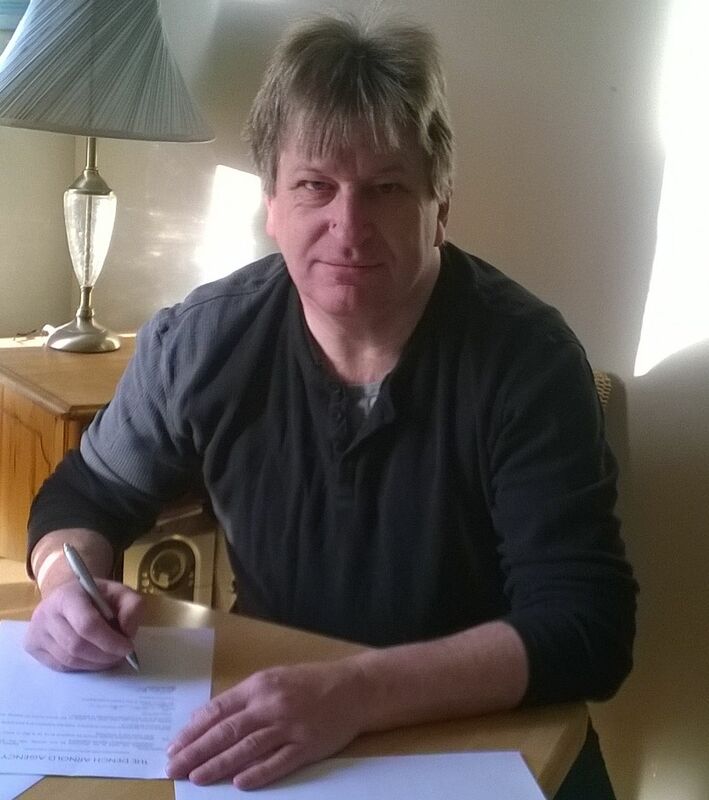 NG: At the moment, I have two half-written scripts one of which will be completed when I am away with a couple of writer friends in a remote part of West Yorkshire next week. I am story lining an ambitious epic series, which is a mighty, complicated task to make it work and understandable. I also have a file of story ideas, which range from a sentence, a paragraph or a two page documents. I have also taken writing down scenes, scenario or sequence ideas which may end up in a script. I also have on-going book projects as well. HM: Are you focused on television drama or writing for other platforms, like feature films? What attracts you to those media, as opposed to writing novels or radio? NG: I prefer television drama because I love multi-episodic storytelling. There is nothing better than watching an emotionally engaging and inventive TV series. That is not to say I don’t like single self-contained stories. I do. Indeed, I have some story ideas that best suit the one-off show. I have a little experience in radio and I have written non-fiction books. I am writing, on the sly, a novel based on one of my scripts. HM: Do you always have to write a spec script to pitch a project to a producer or are you pitching with a two-line idea or a treatment? Do you think that will change in the future? NG: I am at the stage where it comes down to the script because the truth is I do not have an on screen credit. Unlike most of the books I’ve written, which have been pitches first, and then you are commissioned and given a modest advance. In the future, I hope the commission comes first from an idea and they pay me to write the script. HM: How do you think getting an agent will change things for you? Will you still have to network / get yourself and your work out there? NG: Based on a couple of sample scripts an indie has put me forward for one of their shows. The producers of that show will decide whether, based on the sample script, whether they think I maybe suited for the show. That probably would not have happened if I didn’t have an agent. I am still going to continue doing what I have been doing because it has proved to be successful. What having an agent does is open you up to a wider set of industry figures that you previously didn’t have access to. It also means you can target your scripts to the right individual producer, production company or broadcaster. It gives the writer an endorsement and says to any producer that what they are going to read has had quality control. Networking remains important because you still have to show you are not an arse! That no matter how good your writing is, you are someone people will want to spend time and work with. HM: What do you want to be doing in five years’ time? Do you have a plan of how to get there? Does your agent help in this? NG: Ideally, I want to do this job for the rest of my working life and the only way to achieve that is to continue to have good ideas and write. NG: It is a long a commitment. Learn the craft and you can only learn that by doing it. Read the books, attend the courses but more than anything Write, Finish, Rewrite. Do not be afraid to put your work out there. It is unlikely to happen overnight and when you get the inevitable rejection (it happens to every writer) be miserable for no longer than eleven minutes (the length of the average TV act). Nicholas Gibbs is represented by The Dench Arnold Agency and his book “Writing Television Drama” is available to buy now.